Over the past few years, the traditional model of education has taken a back seat. Social media platforms and the internet brings us the concept of a flat classroom and global collaboration where students are made to learn about what is happening in the world. Education is indeed borderless, meaning that whatever that is being taught in one country can be introduced into another country, making students more aware of the opportunities to come in the future. It has a crucial role in making a child aware of a place he has never been to and pushes him to explore his potential. 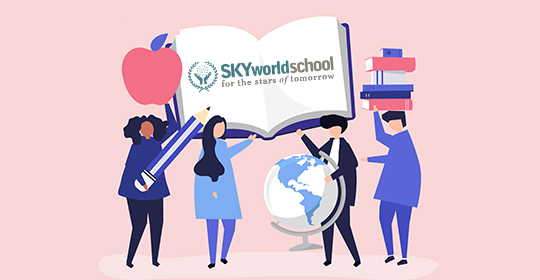 At Sky World School, one of the best schools in sector 21, Panchkula, we make sure our students become successful global citizens by introducing them to the different aspects of flat classroom and global collaboration. With the arrival of technology, the geographical boundaries, are becoming less relevant and is bridging a gap between classrooms and nations. It has now become a necessity to encourage students to harness their skills in knowing the planet better. Students not only get to know about cultural diversity but get to embrace it as well. Amalgamation of technology and education. It helps to expand a child’s perspective to view the world. Academic growth: Students take part in a well-rounded education and amplify their skills on a global platform. 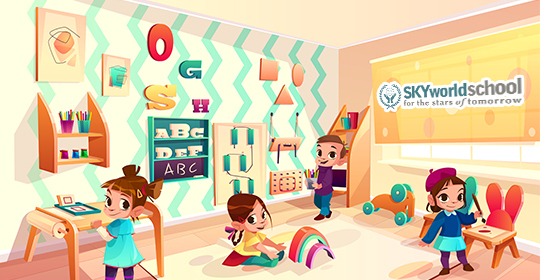 Personal growth: The introduction of global education enhances a child’s time managing skills, social skills, and self-confidence. A child distinguishes between different cultures and traditions via global education. Knowledge is spread much easily and consistently. Online education is a little less costly than traditional teaching. Students get to interact with other students belonging to different continents altogether. 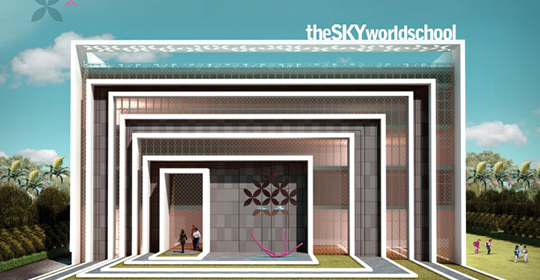 Each child is different and with that kept in mind, the faculty at Sky World School, the top school in Panchkula, caters to every single child’s needs and requirements.